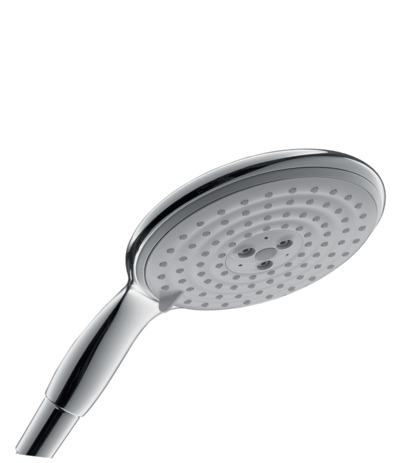 Enliven your natural senses with the latest in water technology with the Raindance E 150 3-Spray Air Handshower in Chrome. Hansgrohe's Raindance AIR handshower creates an organic fusion of water and air that is sure to convalesce your senses. With a simple installation, this handshower unites air parcels with water droplets that create an enveloping feeling of water surrounding you, and maintains an unsurpassed performance. A handshower also delivers a more invigorating shower, through the increased warmth and intensity that result from bringing the spray closer to the body.